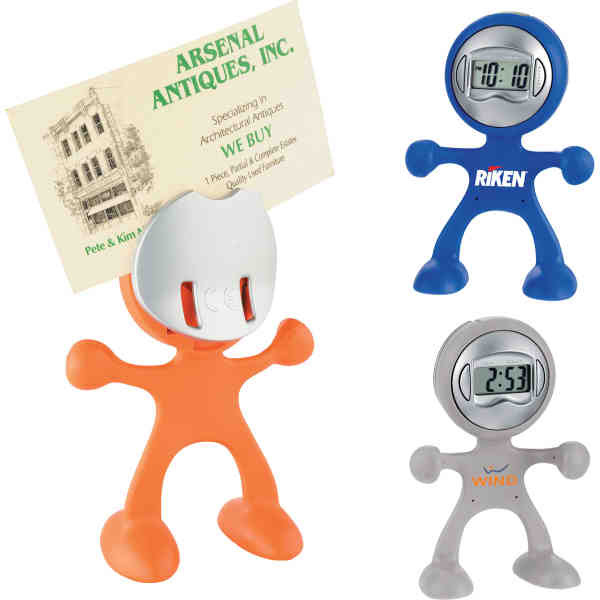 Imprint Method: UNIMPRINTED - The Flex Man Digital Clock features a digital alarm and displays the time, date and seconds. It also includes a pen and message holder. Size: 1.562 " x 4 " x 2.375 "